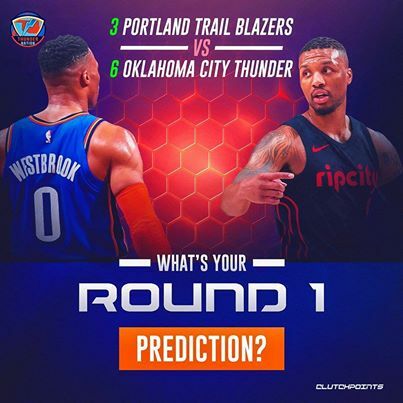 Check out below the Western Conference - First Round schedule between the Portland Trail Blazers and the Oklahoma City Thunder. The No. 3-seeded Trail Blazers will face the No. 6-seeded Thunder in the best-of-7 first-round series.